Samenvatting basisboek logistiek Comprehensive summary of the basicbook logistics. It includes everything one needs to learn for the logistics test from Business Studies, Year 1, 2014-2015. 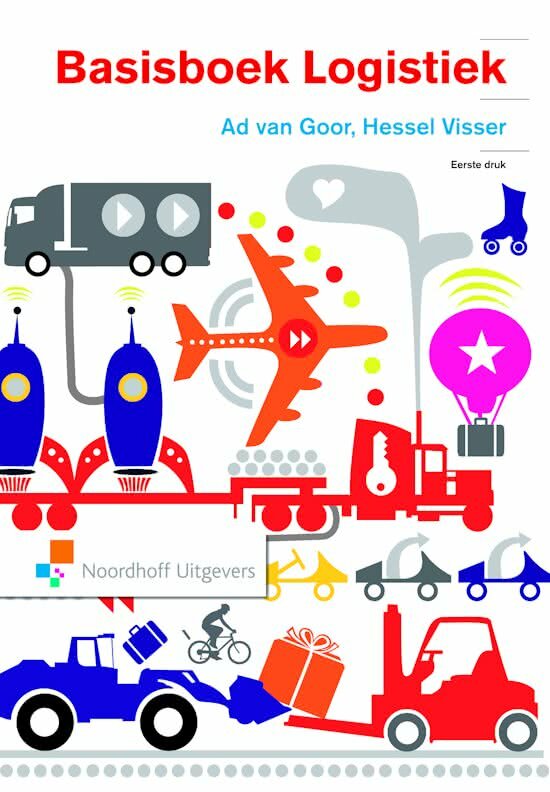 Samenvatting Logistiek This document provides a comprehensive and clear summary of the book: Basisboek Logistics. the document contains the entire book and is illustrated with figures and tables from the book. On this page you find summaries, notes, study guides and many more for the study book Basisboek logistiek, written by Ad van Goor & Hessel Visser. The summaries are written by students themselves, which gives you the best possible insight into what is important to study about this book. Subjects like Hessel Visser, basisboek logistiek, Ad van Goor, samenvatting, logistiek, eerste druk, basisboek & Logistiek will be dealt with.